I will admit that I am not feeling the most confident for this weekend's race. The Penang Ultra Round Island 84km is not an easy race. The terrain is challenging and I must say it is definitely more challenging than Route 68. Kirin Ichiban Beer Garden's comes your way from 1st – 10th October 2015. Brought to you by the folks at Kirin Ichiban Malaysia. While I enjoy long runs and races, short ones like the recent Electric Run™ 2015 presented by Shell FuelSave is just as fun. 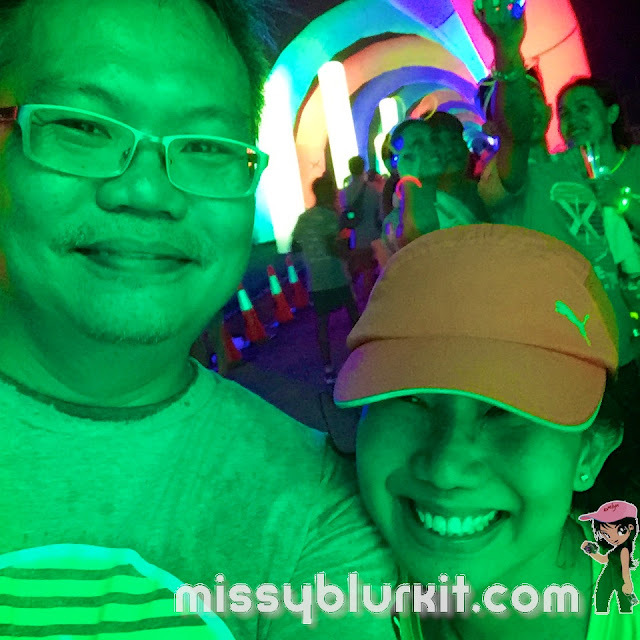 Nothing challenging but just good pure fun with lots of good music, good eats, plenty of drinks to keep us all hydrated and of course lots of fancy lights. Yes, let's also not forget the energetic concerts at the end of the night. 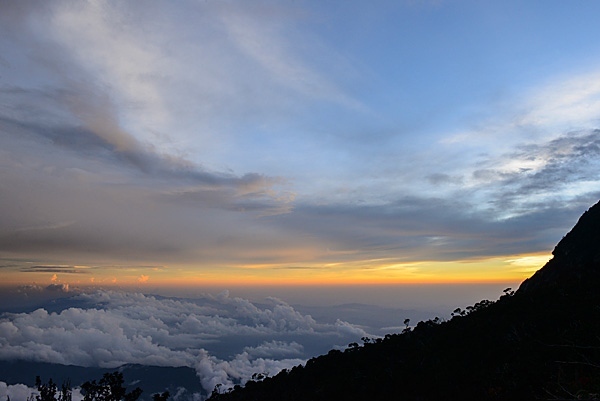 It was still hazy then but it did nothing to dampen the spirits of the participants. The weather was considerably cooler in the evening after an afternoon rain and the Turf Club was considerably cooler too with all the trees. 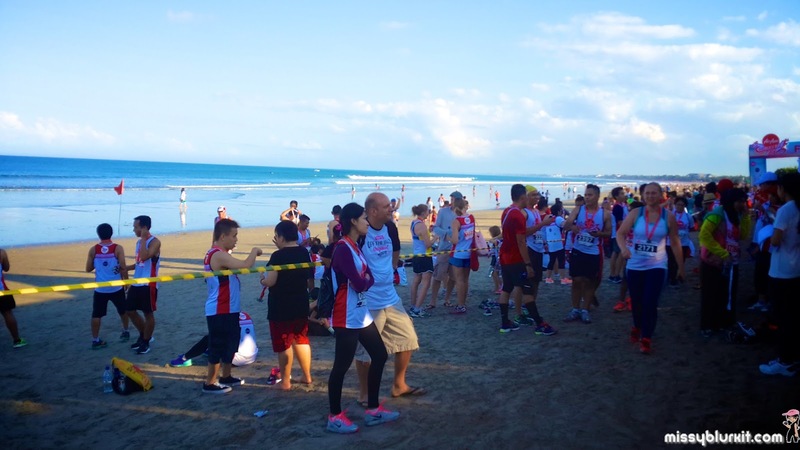 Participants were all flagged off in waves. Plenty to do while one was waiting to be flagged off. One could feast on a good selection of food and drinks. Hey! 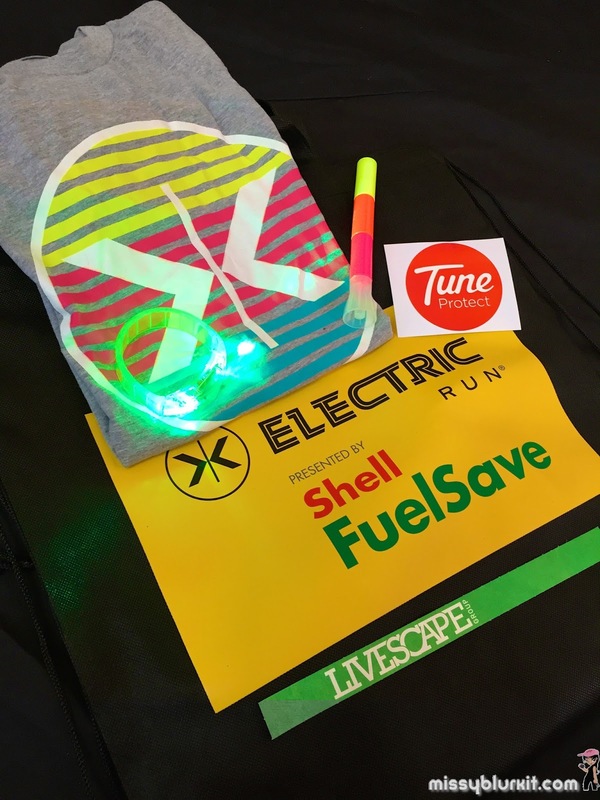 The importance of fuelling and hydration for our body is the same as making sure that we use the right fuel, lubricants and tyres for our car! A huge crowd of 10K flagged off in orderly waves. 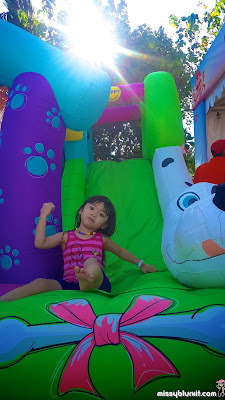 Colourful and loads of fun. 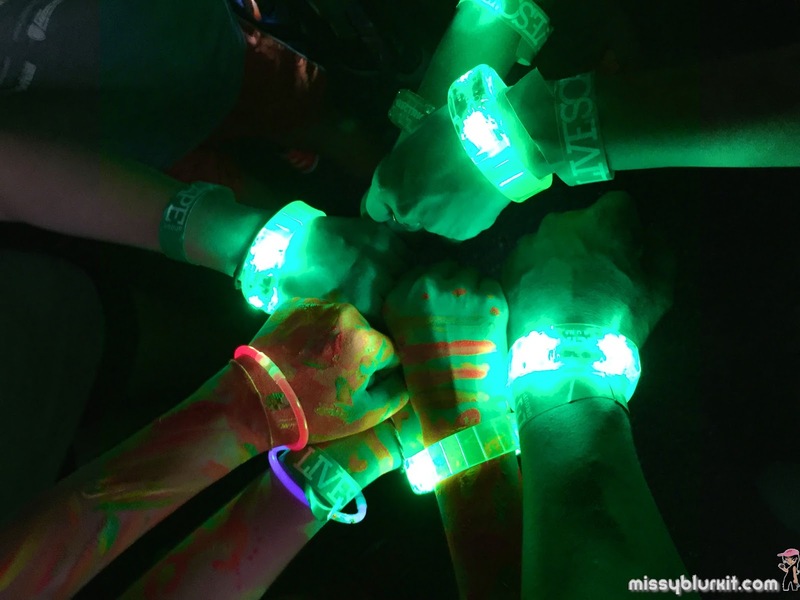 It was a night run and coupled with lights, folks were all armed with glow sticks and reflective apparels. 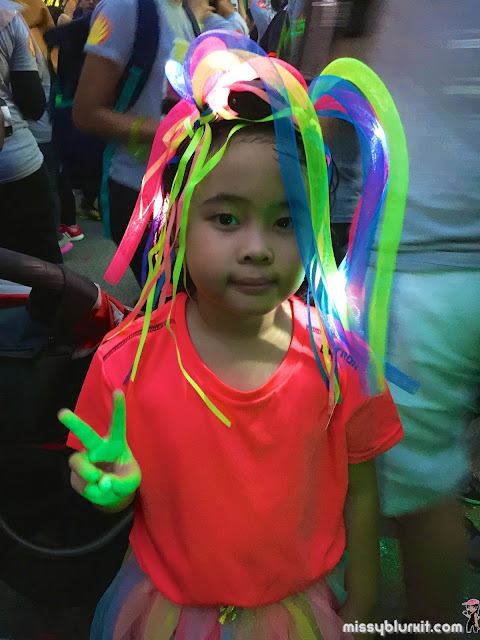 Some even had their faces and body painted in neon paints. Quite an energetic sight to draw in. 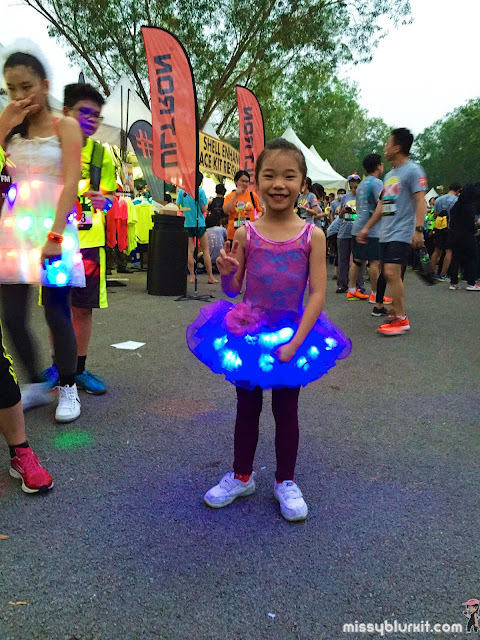 A pretty little ballerina with sparkling lights. Another pretty little gal all dressed up for an electrifying fun Electric Run. 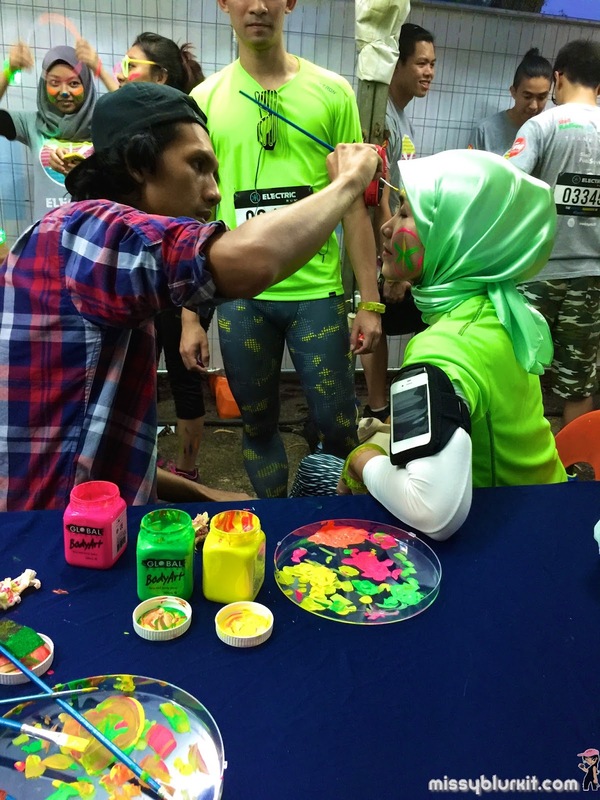 Can I paint your face ChehCheh? Face painting by the professionals. While waiting, one could busy oneself with snapping pictures or dancing away to the brilliant selection of music. Almost a party with a run built in. And even if one walked (like I did), I was sweating buckets! 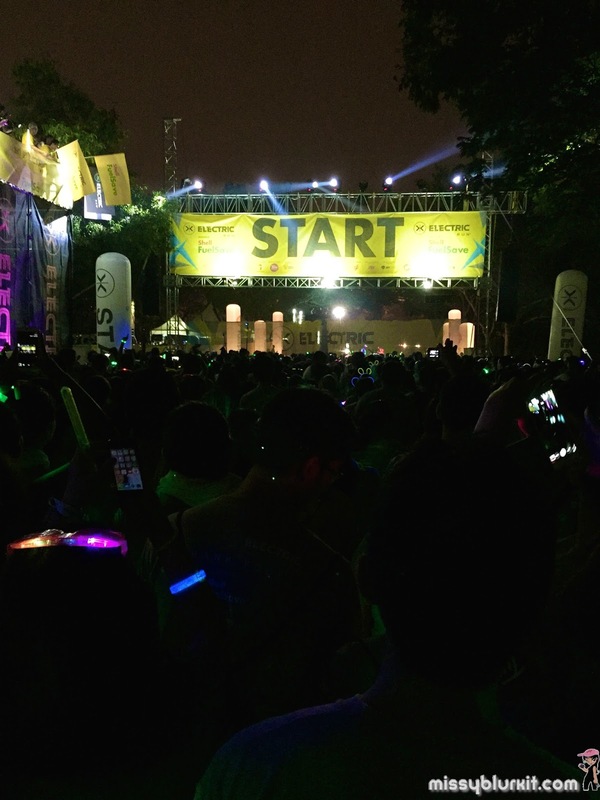 This being a fun run of 5km, I am personally impressed with the entire set up. There was water stations set up along the run route. 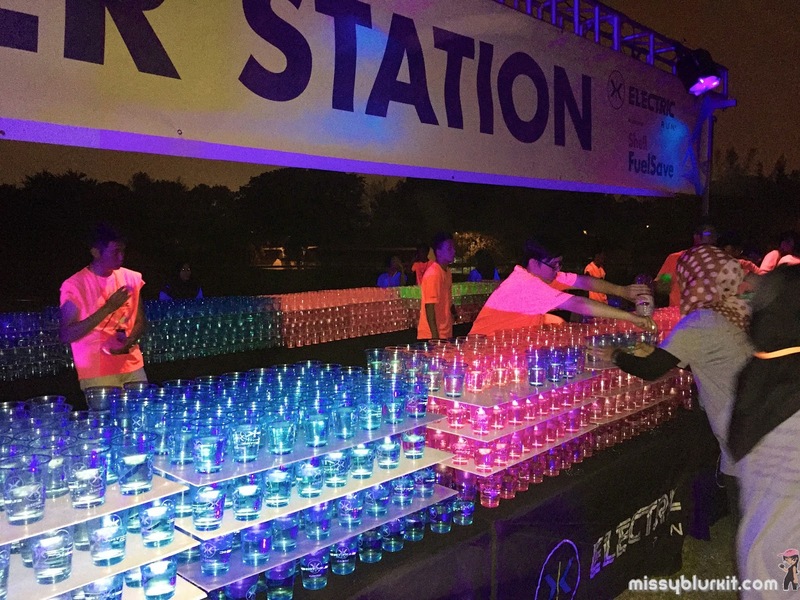 Glow in the dark cups were set up, water amount just right so that there is no spillage and there were even volunteers to help hand out the drinks. Medical aid was also available and I noted marshalls patrolling ensuring that things were orderly and the participants were safe. I love these fluorescent cups. Do you know where I can buy them? Drink up and hydrate well in every run. The whole route featured different themes. Music was played throughout the route and the volume was toned down nearer to the stables. Though I can't say the same for the participants who resorted to screaming and howling at the tunnels which was relatively close to some stables. 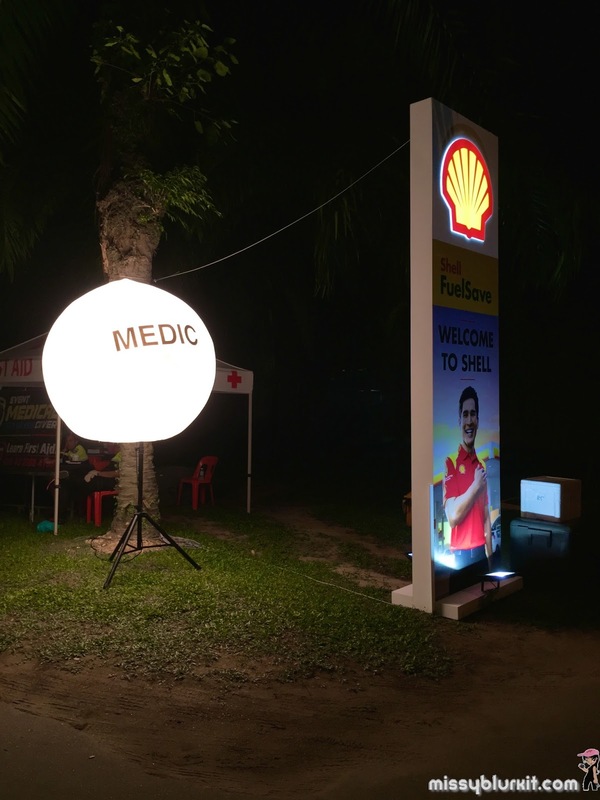 And again this being only a 5km fun run, I was surprised to see a mock up of Shell's deli2go being set up near KM4. 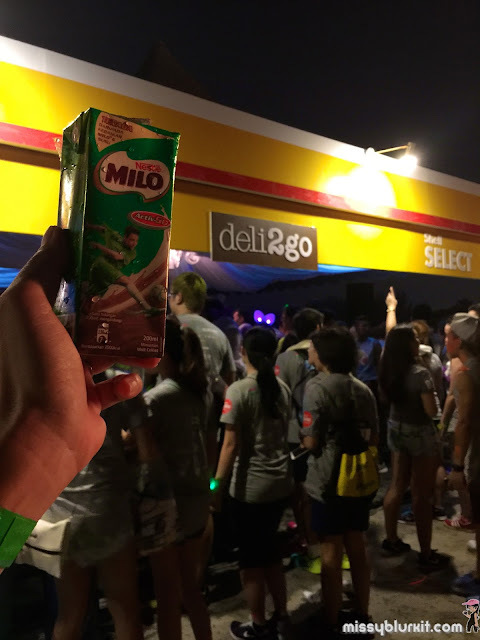 Runners were kept hydrated and fuelled with yummy cold Milo and Red Bull. Of course when we ended there was more deli2go serving up yummy food including ice creams. I love the finish line. A very efficient line with cheery crew manning it. 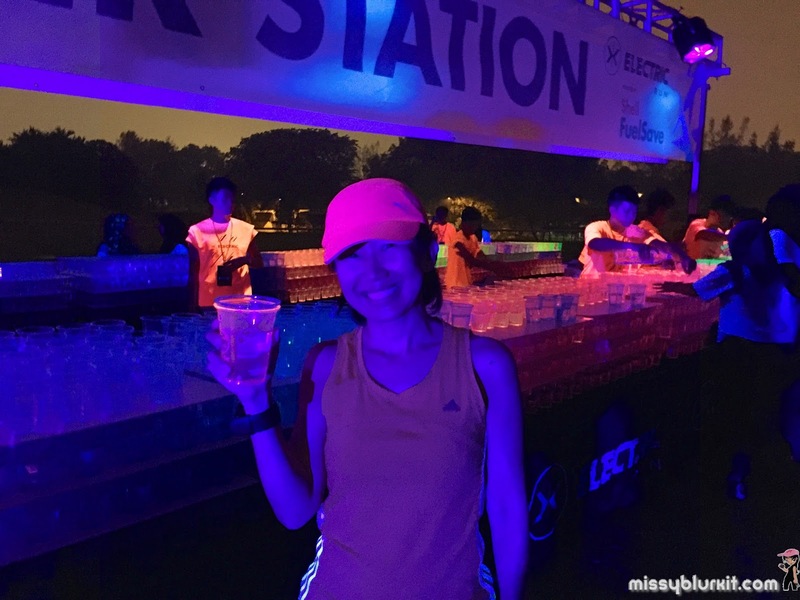 Runners were given water, isotonic and medals weren't just plainly handed out. It came with a smile and "Congratulations". Awesome feel good feeling. Some ran. Some walked. Old and young. Everyone's smiling. Volunteers and participants! 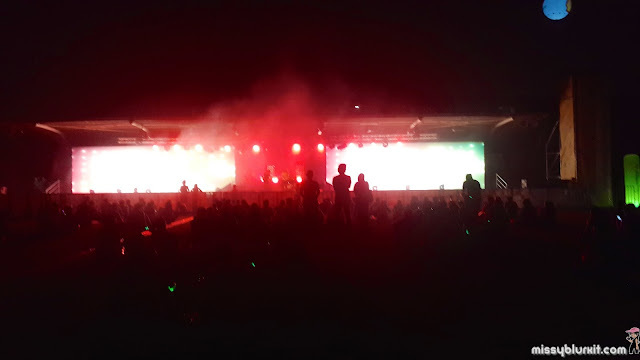 For those who opted to chill or wait for their other friends who are still running, there was even a concert. Quite an amazing line up including Enterprise, Paperplane Pursuit and Kyoto Protocol. 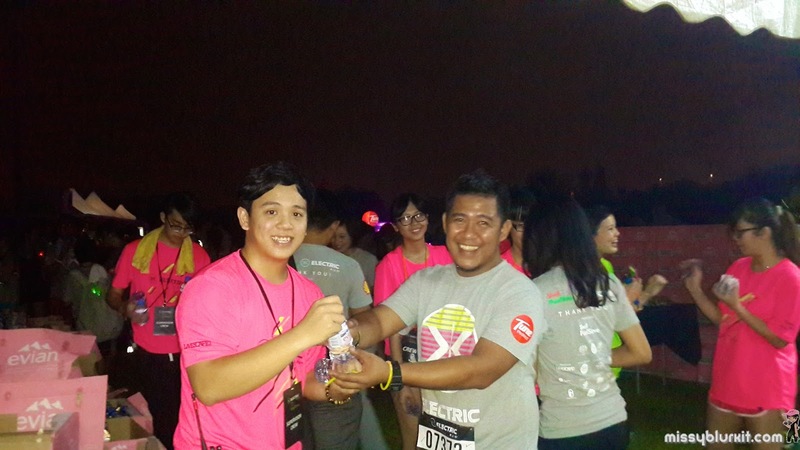 The Electric Run 2015 certainly did wonders to cheer up the participants. 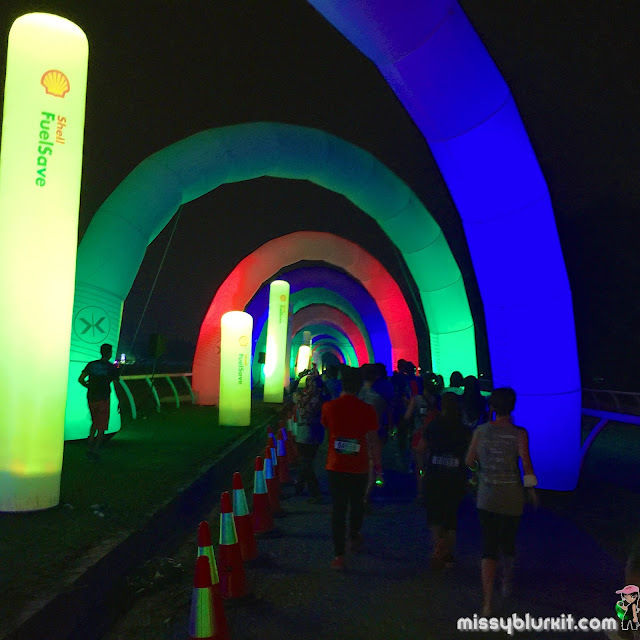 The haze was depressing but I am sure no one felt depressed after the run. It was all good fun and an amazing Saturday night! 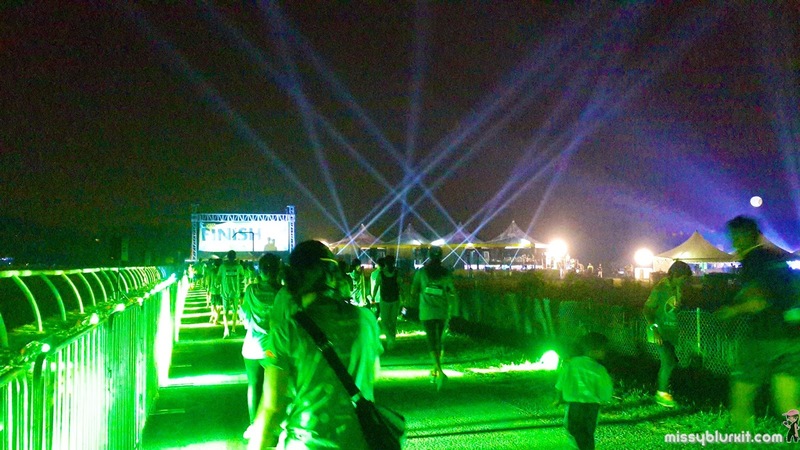 If you have missed it, then make sure you keep your eyes opened for the enxt Electric Run. 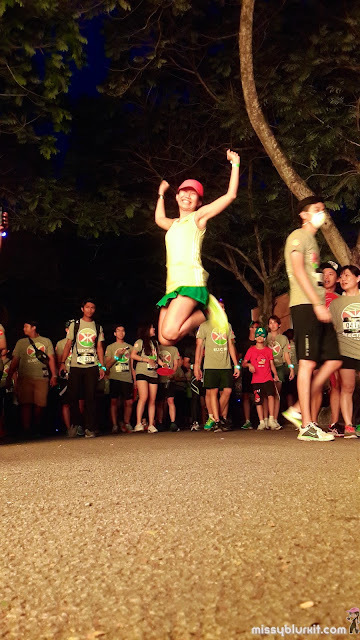 Here's a short video for you to feel the energetic night. THANX for reading. Do also head on to the following channels to socialise! 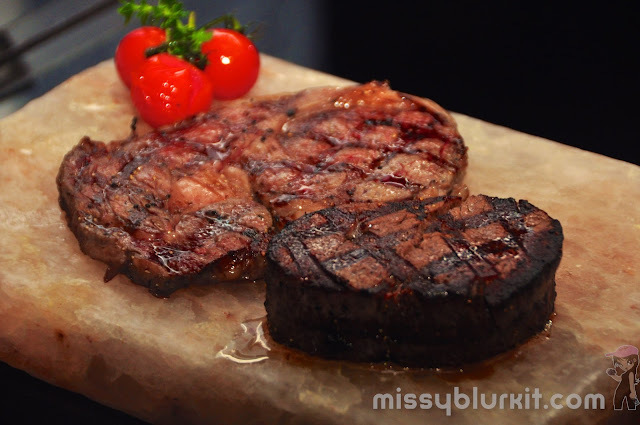 One of our personal favourite spots for lunch / dinner in KLCC area would be Cedar on 15 at Impiana KLCC Hotel. 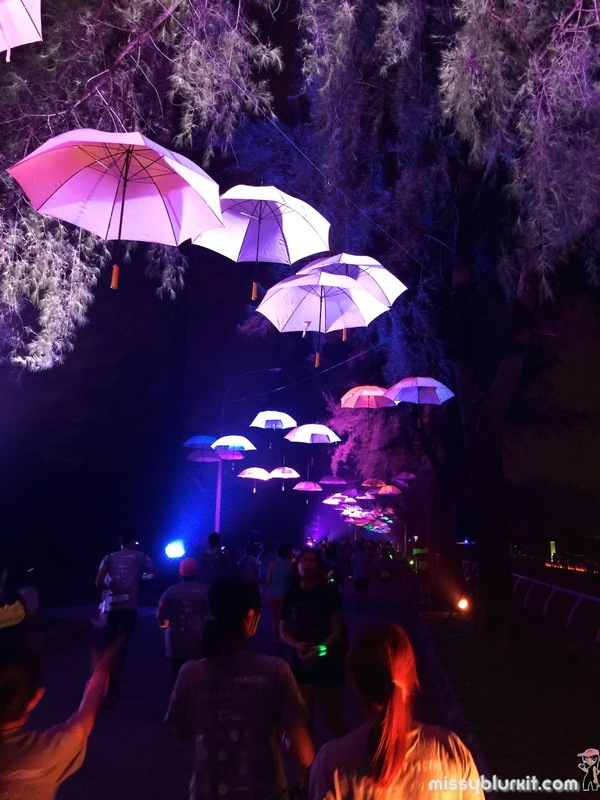 It is a 10 minutes comfortable walk for us from our office through KLCC, food and ambiance is what makes us return on our own or with our clients. 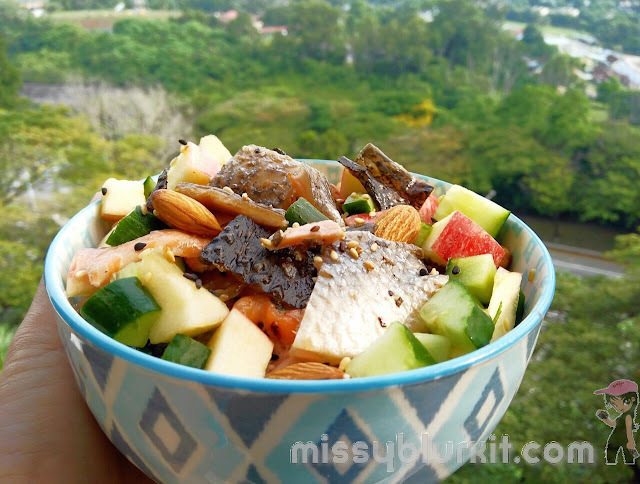 The latest return was to have a quiet dinner to catch up with the hubster after a busy work schedule and travelling on my side. I returned for AirAsia Bali Beach Run 2015. 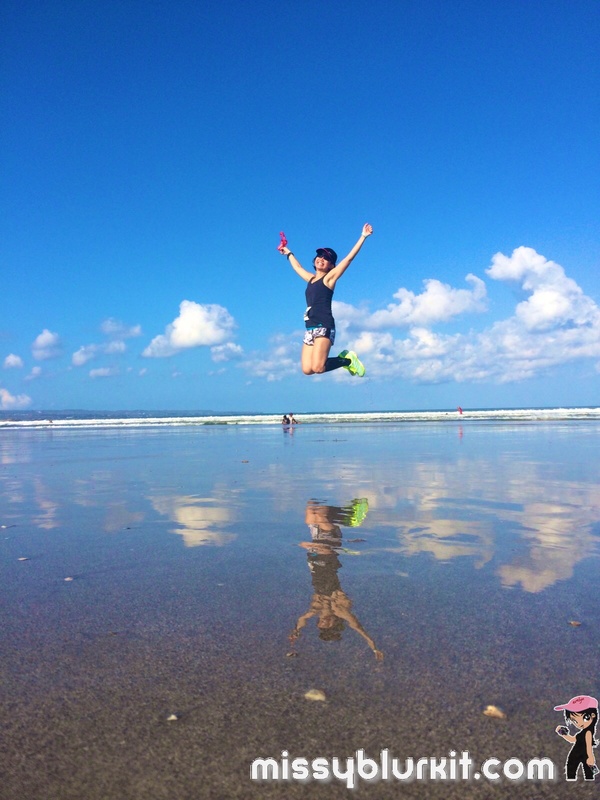 Better, bigger and more fun than 2013 with more participants from around the world. I reckon that many people love the idea of running along Kuta beach and also through the tarmac roads that brings us along many of the gorgeous boutique hotels and friendly local cheering the runners. The route is exactly the same as 2013. 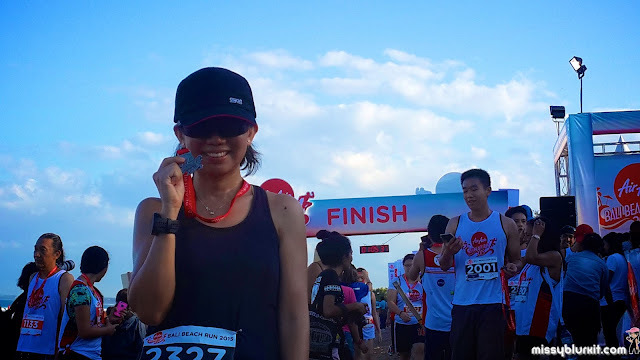 Fresh from a sprained ankle of Day 1 of Raya, this was to be my first test and timed run for me to know whether I was ready to resume training for my next ultra marathon. 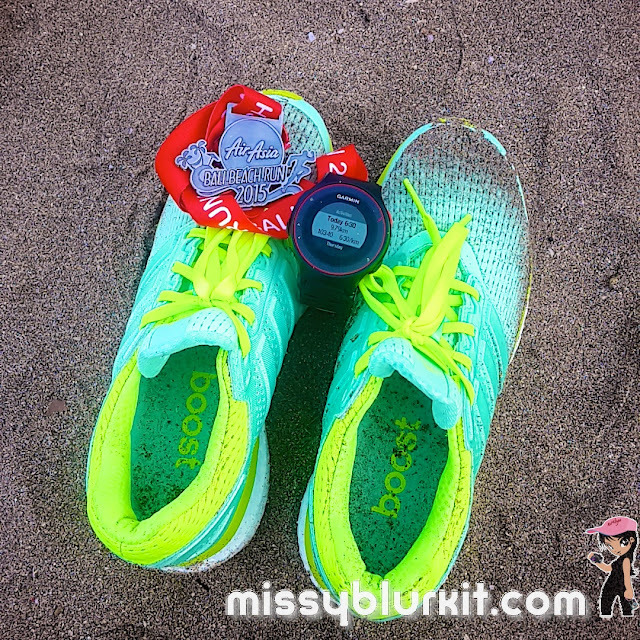 Yes, no harm in using a fun run to be a gauge because running should always be fun! 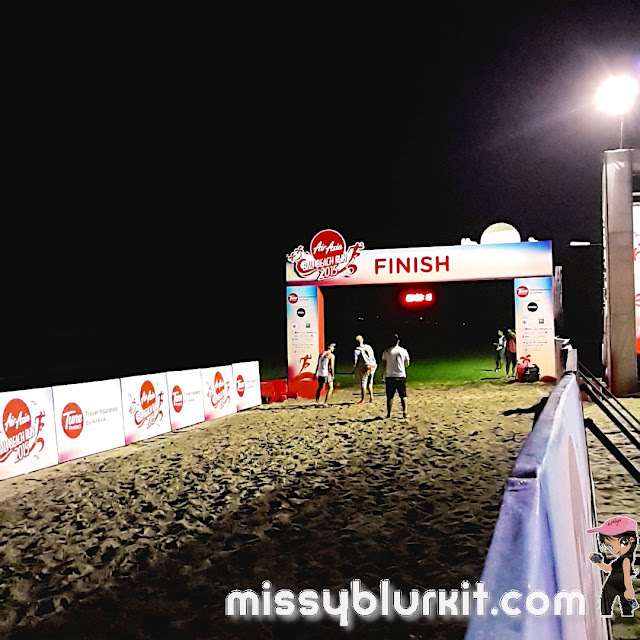 No pictures along the route since I was quite focused on just running it this time like any other runners but you can get an idea from my 2013 experience and also from AirAsia Bali Beach Run 2015's album. You will get the drift that everyone really enjoyed themselves in all 3 categories: 10km, 5km and family 2.5km. 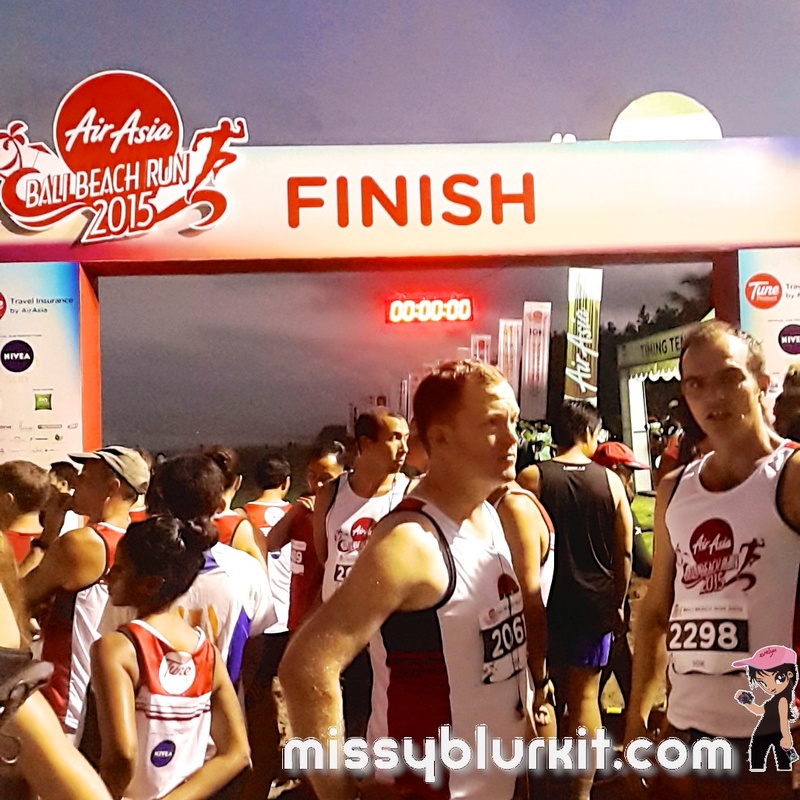 Here's some pics from my absolutely gorgeous time running AirAsia Bali Beach Run 2015. Shaved 3 plus minutes off my previous timing so its definitely a bigger Yay for me personally. Flew in with Yochana and her new pal Travelling Beruang on AirAsia. Customary gear check before each run is my pet peeve. 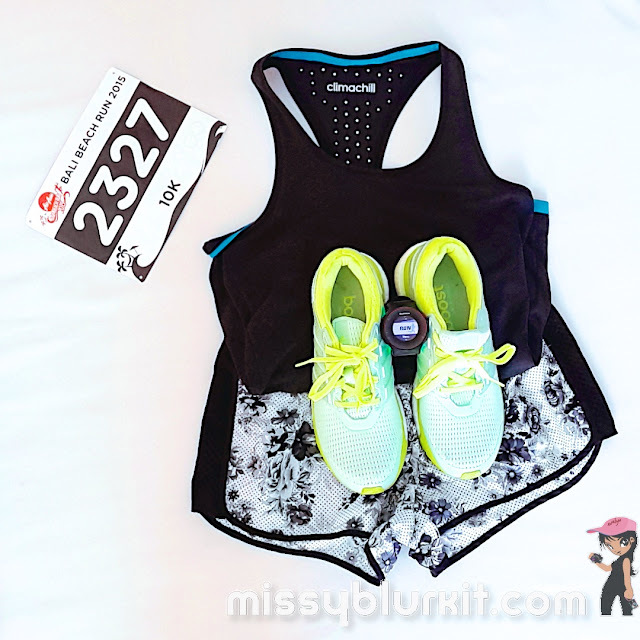 It is also my first race with the Garmin Forerunner 225 with a built in heart rate monitor and Adidas Supernova Glide Boost. 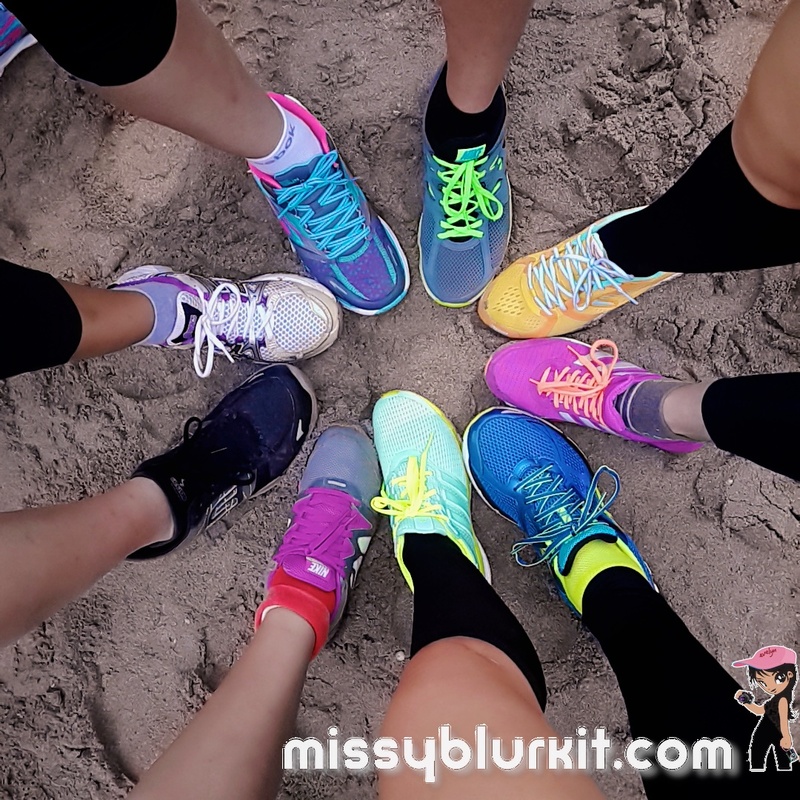 Love the colour and I joked with my running pals that in case I run till I can't feel my feet, these vibrant volours should at least tell me where my feet are. Brekkie on the go provided by our Ibis who had breakfast box ready for runners who were staying with them. Options of sandwiches or fried rice....I reckon sandwiches was something that I was more accustomed to for brekkie. Pitch dark when we arrived. No wonder the run's start time was delayed a little for folks to get a better view of our run route. 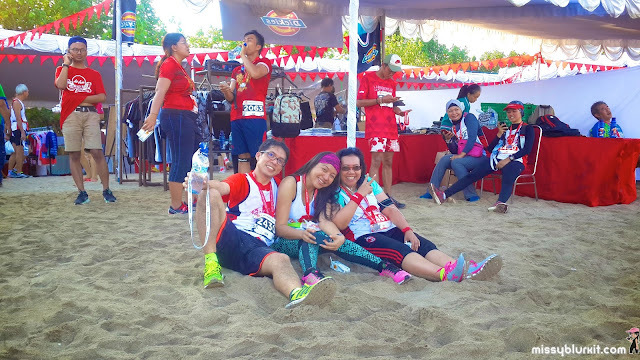 And other runners beside me. 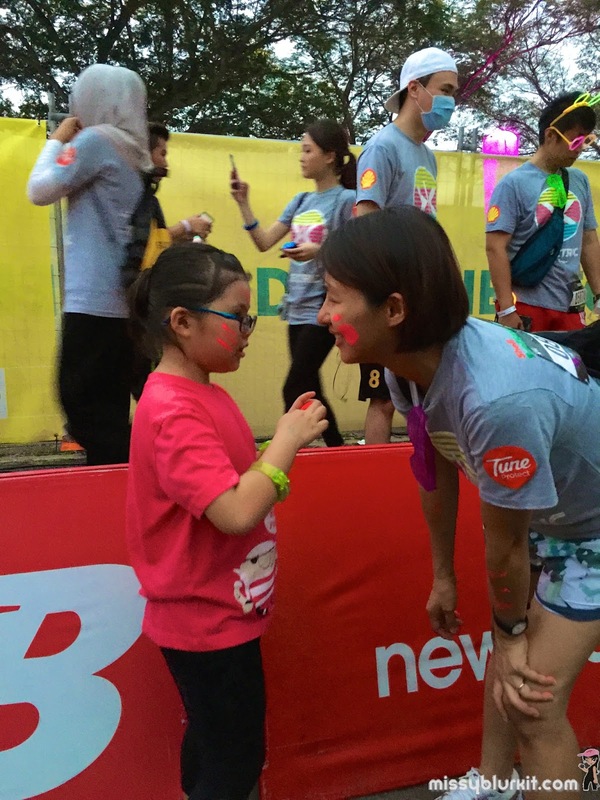 Do you see our colourful kicks smiling? 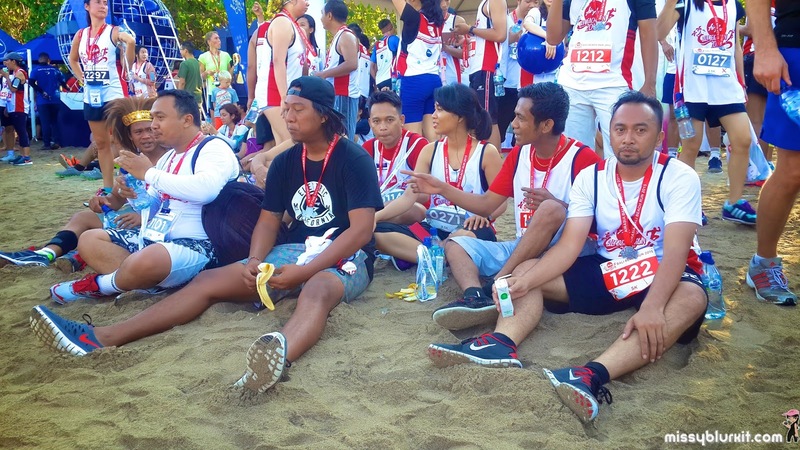 Runners in the start pan waiting patiently to be flagged off. You would note that most of us are already sweating quite a bit from our warm ups. A sea of runners and a sky that was turning nice and bright. The skies turn bright really fast and that's a gorgeous blue skies that keeps us company while we ran. 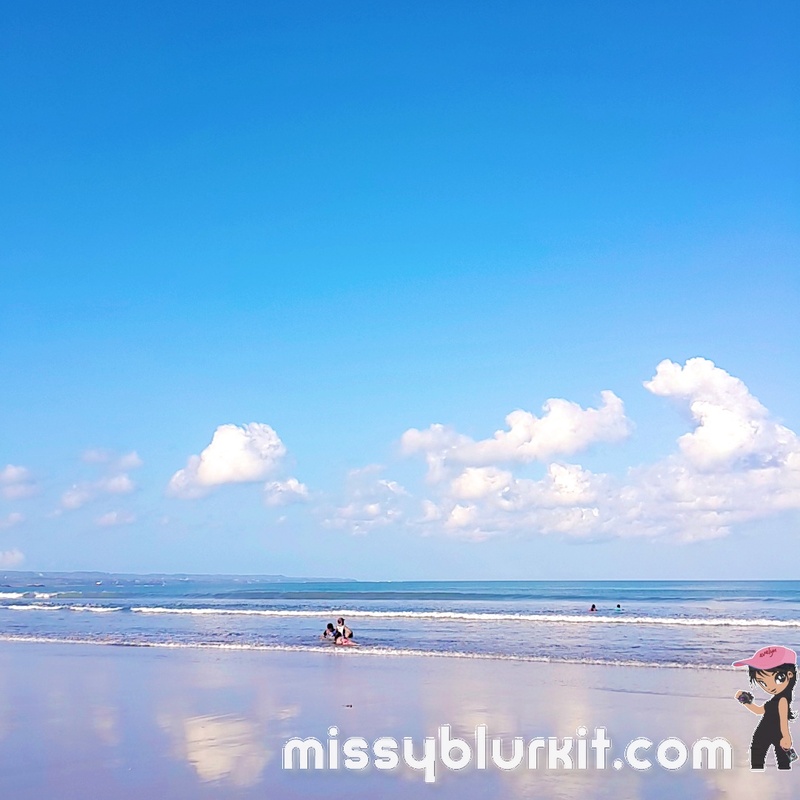 Fresh air too with breeze from the oceans. More comfortable conditions only meant that it was easier to run faster never mind it was a beach - tarmac - beach run. Fresh from crossing the finish line and another runner offered to help me take a picture after I helped her with her photos. Sweaty, sticky and feeling pretty good in the right ankle despite not having trained since July. Unofficial time for 9.74km: 1:03:40. 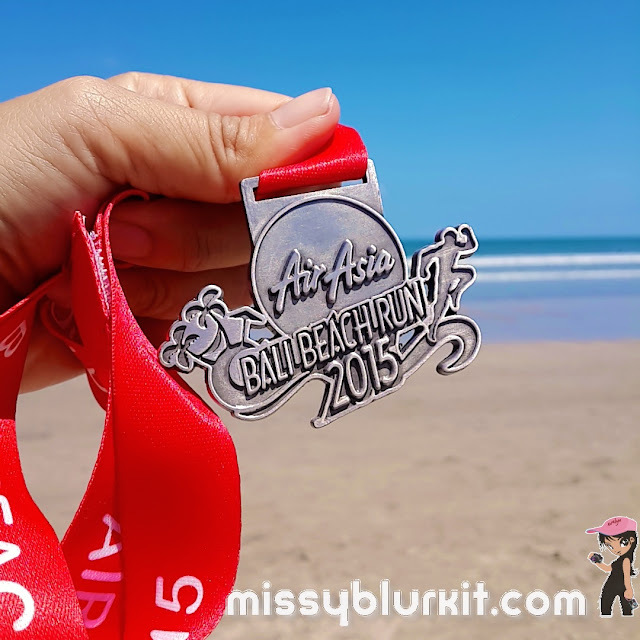 AirAsia Bali Beach Run 2015 is another good run for me in Bali. Happy runners after their run. It really didn't matter whether one ran 2.5km, 5km or 10km because everyone had tonnes of fun. Bananas, water, and isotonic drinks were aplenty. I personally loved the yoghurt drinks! 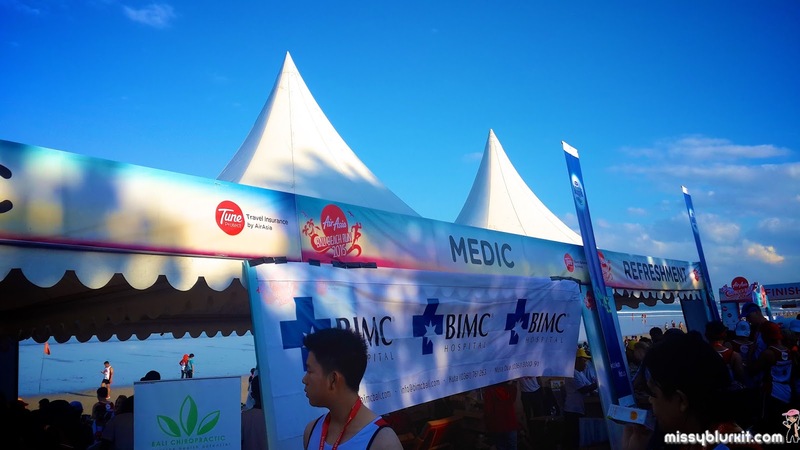 Well organised medical support that provided first aid, massage etc to runners. 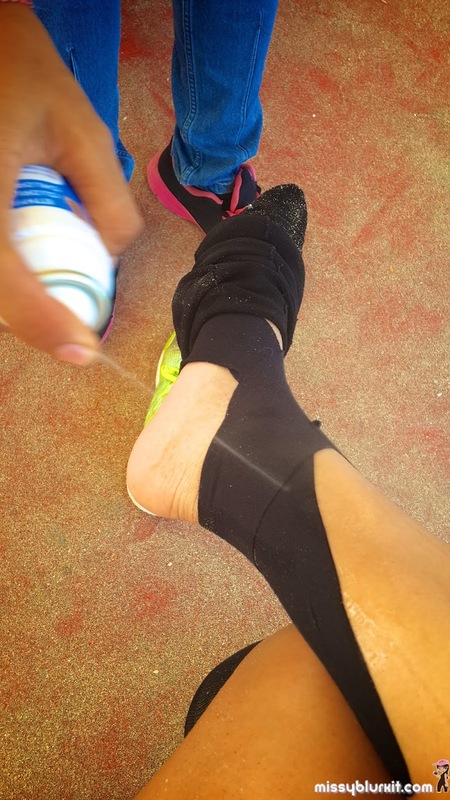 I wasn't going to take chances with my torn ligaments that were still recuperating, so in the absence of an ice bath, the medical team sprayed Ethyl Chloride to help my muscles / ligaments cool down after the run. 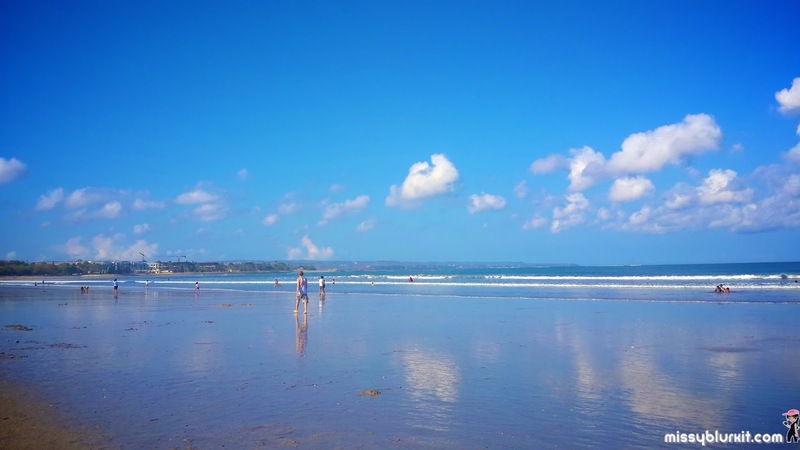 Gorgeous blue skies and cool waters to relax after a run. Too brilliant and that's why I am looking forward to the next Bali Beach Run and Gold Coast Beach Run. Yes you heard me there....this Beach Run will be in Gold Coast, Australia too. You will hear the updates from me real soon! 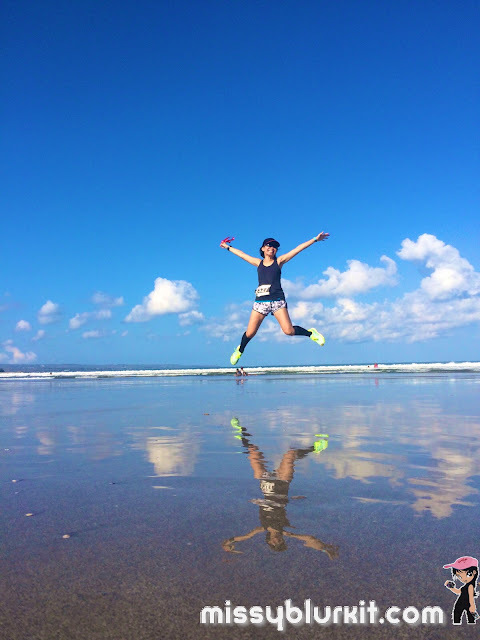 Another run done and dusted calls for another jump! 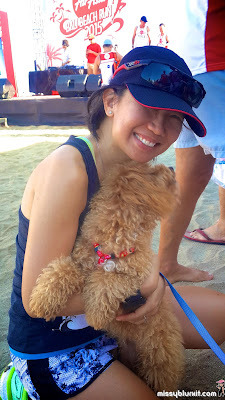 Happiness is playing with this puppy while waiting for my friends to return from their run. I would have loved to join the kids on their inflatable slides too! 2.5K finishers. 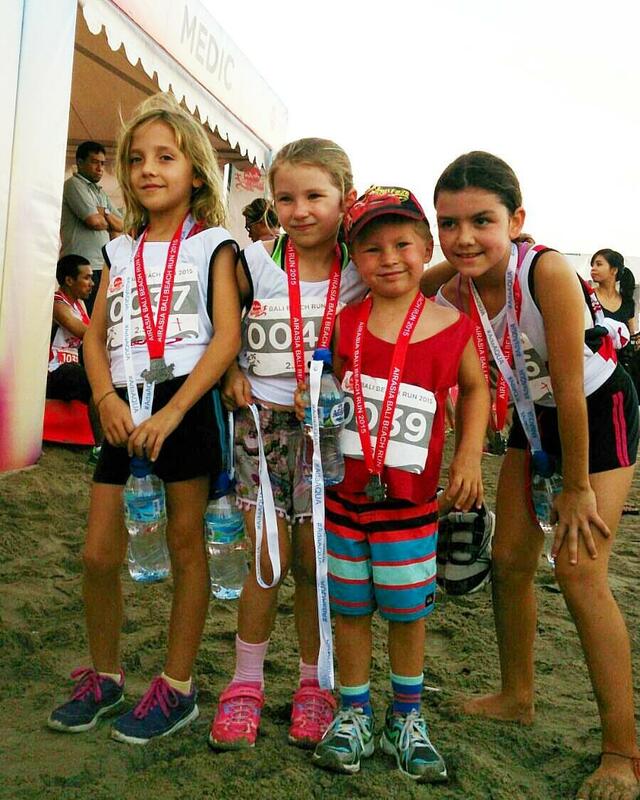 These kids are fast! I had lots of fun AirAsia Bali Beach Run 2015. Running is fun and the organisers successfully made running fun even for the young kids! Hopefully we see longer distances and I am definitely looking forward to the 2016 series of beach runs! THANX for reading. Do also pop by to the following channels to show some love! Some problems are great! On our maiden visit to Rail Canteen, I was at a lost of what I really wanted to eat. 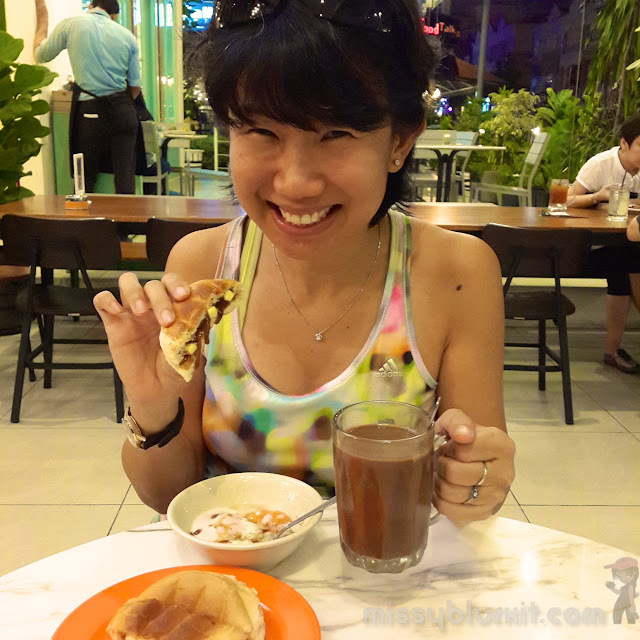 Being a Kluang Girl, part of Rail Canteen's menu brought back fond memories of living in Kluang town and enjoying all the good but simple fare of nasi lemak, mee siam, toast, eggs and of course coffee at the Kluang Railway Station. 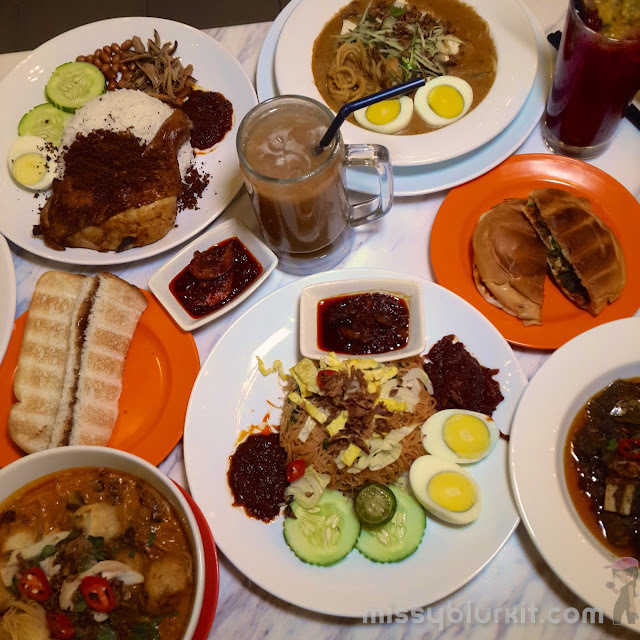 It does not help that the menu also includes new items like Hainanese Chicken Chop, Mee Rebus, Curry Mee and assortment of other equally delicious looking and sounding items. One stomach and so much to choose from - it is definitely a problem but a good problem. Solution is also easy and good - to return to try out the other items! 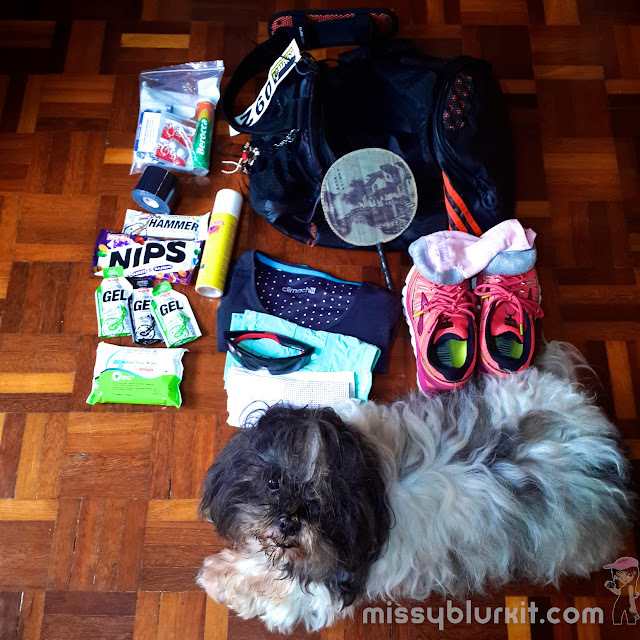 A no frills trail run with lots of good fun and most importantly all contributions will be going to the 4 families of the guides who passed away in the recent Ranau earthquake that also affected the folks who were at Mount Kinabalu. Want to have a good laugh, lower your blood pressure and burn some calories? Then block off your dates for 1st and 2nd October 2015. 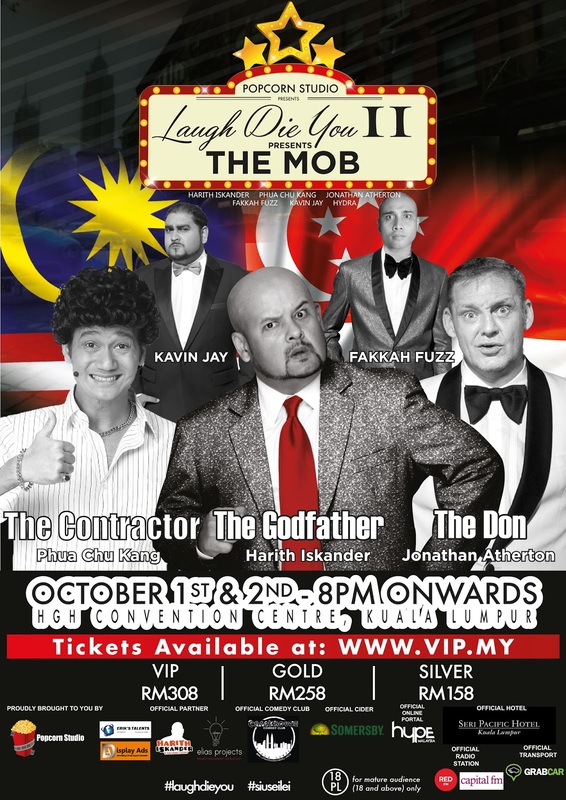 Popcorn Studio presents “Laugh Die You II - The Mob”. 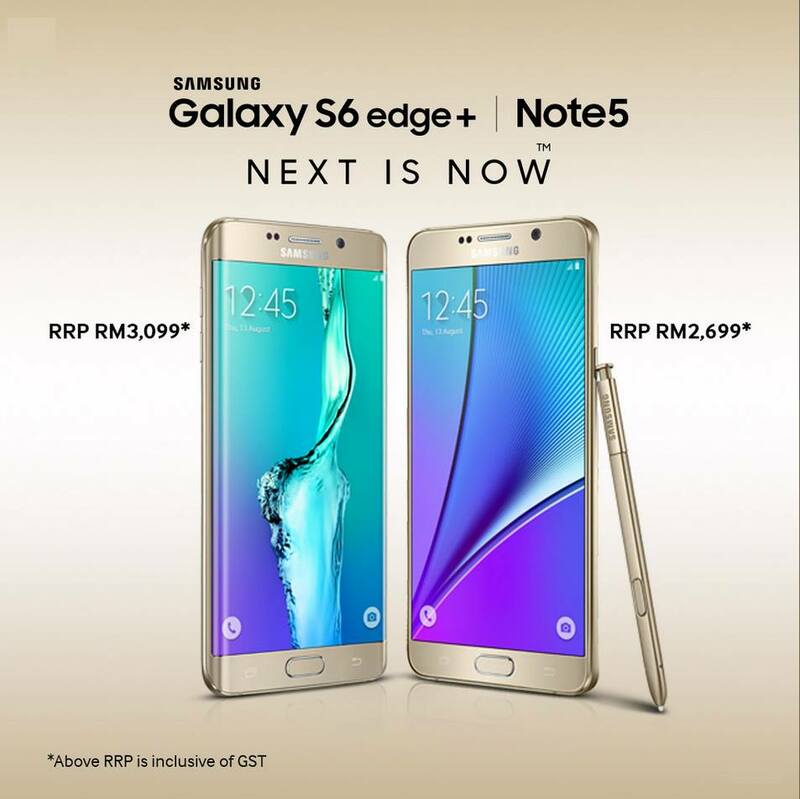 The long awaited Samsung Galaxy Note5 is here! It has been an exciting 2 days and I believe this entire weekend as well.